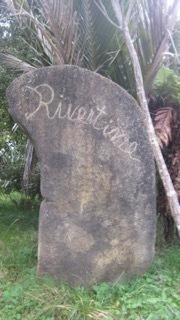 Rivertime Lodge is located at 1569 Whanganui River Road. From Wanganui, head north on SH4. Approximately 3km past Upokongaro turn left onto the Whanganui River Road. Rivertime Lodge is 15km up this road. From Tongariro National Park/Raetihi, head south on SH4 down the Parapara Highway. Turn right onto the Whanganui River Road. Rivertime Lodge is 15km up this road.